Unfortunately, it doesn't work quite as well as you'd hope. Many gamers interested in picking up the Nintendo Switch were puzzled to hear that the device doesn't have an internet browser. It's basically a tablet, plus it does have some online functionality, so why wouldn't it have an internet browser? In response to players' confusion, Nintendo later said that they'd patch in a way to connect to public hotspots so that Switch users could browse the web. And, as of the device's day one patch, Big N has followed through, though things don't quite work as expected. Firstly, the Switch's browser only becomes accessible in public hotspots. Once the browser is up and running, the pages can be navigated in a fairly standard touchscreen-style manner that should be familiar to most smartphone users. 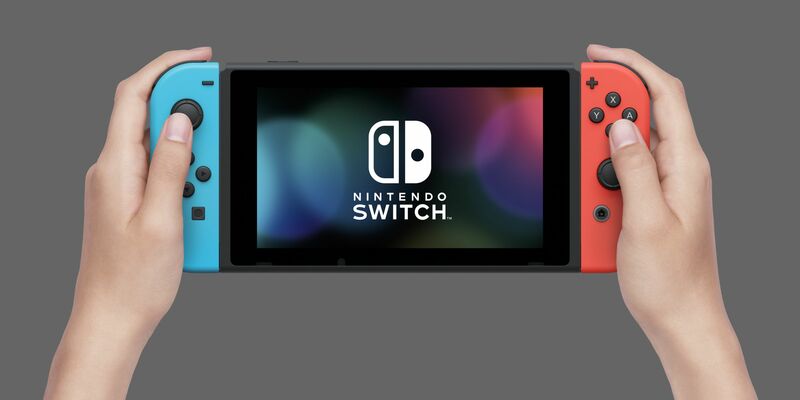 The Switch's broswer also includes a small blue dot controllable through the Switch's left joystick which acts as a mouse pointer, whereas the right joystick can be used as a quick way to zoom in and out of pages. However, it may be that the Switch's online functionality isn't all quite there. The Verge tested their unit at a nearby Starbucks, which allowed access to the coffee shop's familiar Wi-Fi login page. After agreeing to the local Starbucks terms and conditions, The Verge was unable to navigate beyond the Starbucks web portal — instead, the Switch jumped right back to its internet settings. They did manage to slip their way onto Facebook in a backward sort of way by going into User Settings and clicking the link on their social profile. Though basically functional, this loophole method presented its own problems: Facebook seemed to work by-and-large, but zooming seemed to break the page layout, and any clicked-through links spat up error pages. Still, it seems the infrastructure is there. The browser appears to work as expected, and it also seems to appear elsewhere on the device — users logging into the eShop for the first time might notice a dialog asking if they'd like their login information saved, and that dialog prompt appears in a window that looks similar to those found on common web browsers. It may be that Nintendo put all the tools needed to browse the internet onto the Switch and is now simply working out the kinks, but for now, local Wi-Fi hotspots seem to be the Switch's only theoretical outlets to the world wide web.